The founder of Visal & Associates Law since year 1973. He graduated LL.B. from Thammasat University and M.C.L. from Southern Methodist University, USA. He was worked and appointed at several crucial position including Senator, The member of Bangkok Metropolitan Council, Council of Christian University, a Chairman and board member of Bangkok Christian College, a board member of Bangkok Christian Hospital and so forth. 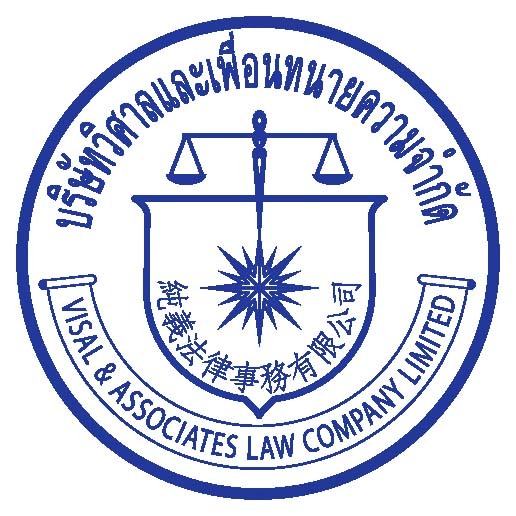 He is an expert in litigation with experiences of over 45 years and also fluently in Thai, English and Mandarin. He is also an certified expert in Mandarin appointed by Court of Justice and a registered mediator. Mr. Susunt Pattarathammas graduted LL.B. from Chulalongkorn University and LL.M. from Southern Methodist University. He also pursued LL.M. International Law at Chulalongkorn University. Being a second generation of the firm's owner he practice continuously in litigation and consultation for over 12 years and currently acting as a manager of the office. He specialize in family law and international law. Mrs. Suparp Kancvalskul graduted LL.B. from Chulalongkorn University and LL.M. from New York University. She specialized in Banking and Securities law and has years of experience in this field of work. Mr. Kamthorn practice as a lawyer since year B.E. 2523 (1980). He accumulated great experience in litigation and specialize in all Intellectual Property field including registration and case in reference to patents, copyright, trademark, service mark and so forth. He graduated from Ramkamhang University and attended several certificate in connection with the legal. Mr. Kornkit gradated from Ramkamhang University. He acquired a lawyer license since B.E. 2530 (1987) or 30 years ago and also passed the Bar exam. He specialized in labor law and family law. Mrs. Pavinee Pattarathammas graduated B.B.A. and M.B.A. from faculty of Account and Commerce, Chulalongkorn University. She works in financial filed for years and now in charge of all financial and accountant of our firm.